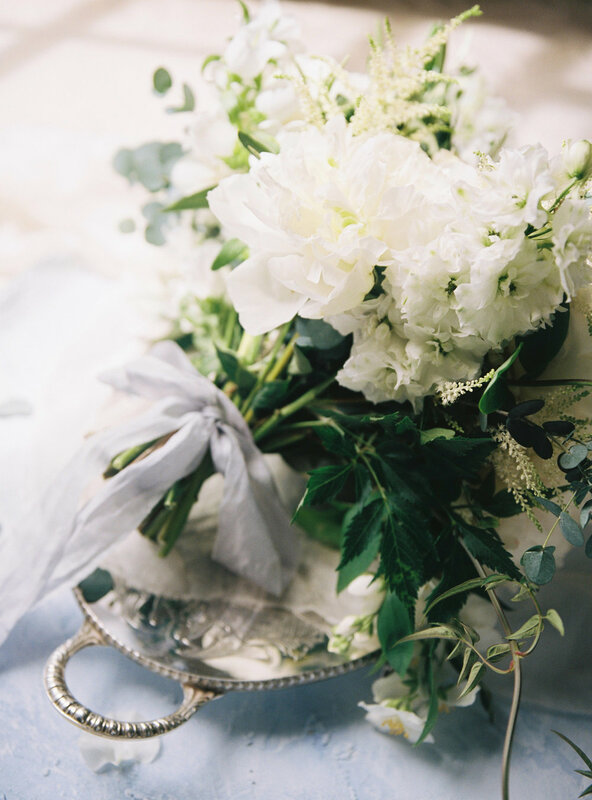 Romantic Pale Blue & Greenery Inspiration. Our Classically Georgian Inspired Editorial Shoot. This editorial evoked a fresh take on Georgian inspired weddings. When we went to look around the stunning Royal Crescent Hotel in the beautiful and historic city of Bath, we knew that a rich blue palette with timeless silver accents and that stunning incandescent silver leaf silk ribbon would compliment the pastel colours and hints of antique blue. 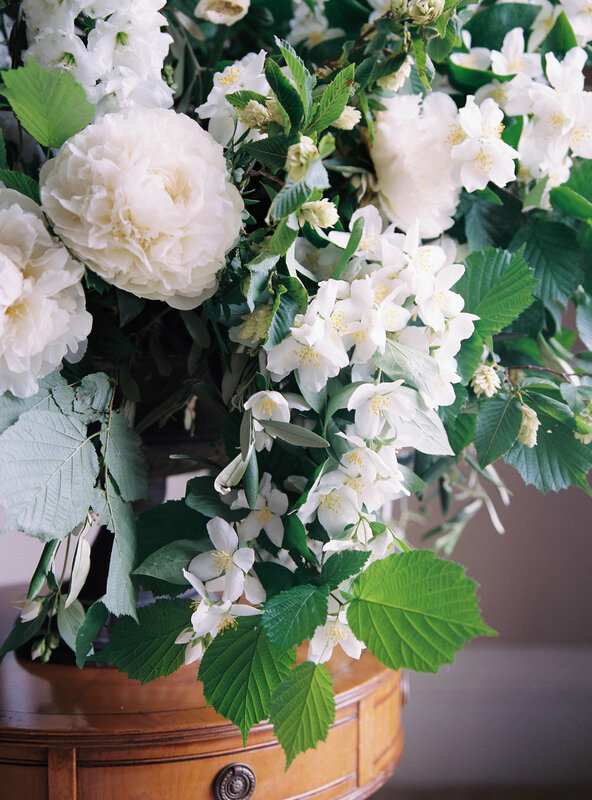 That pop of greenery and white flowers were so eye-catching and created a beautiful and classic colour contrast against the pale blue linens and beautiful silky textures. When it comes to using colour we know as stylists how important it is to work colour in without going overboard! We adored the way that the stationery design captured the romance of the setting with classic details and an architectural motif - Proving that classic design and styling can create a wonderfully unique and exciting setting!